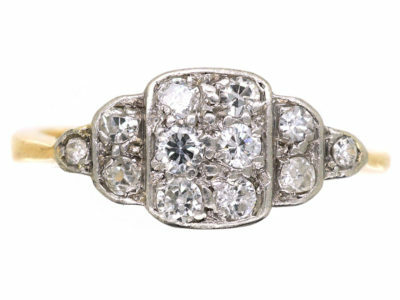 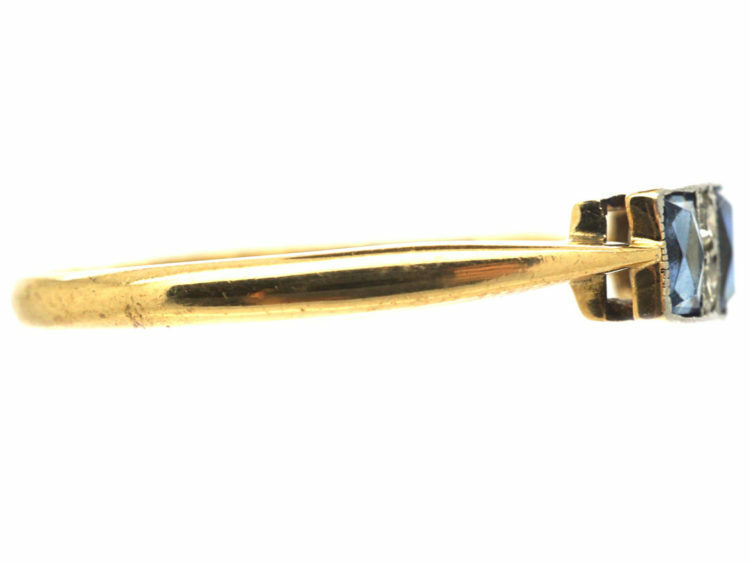 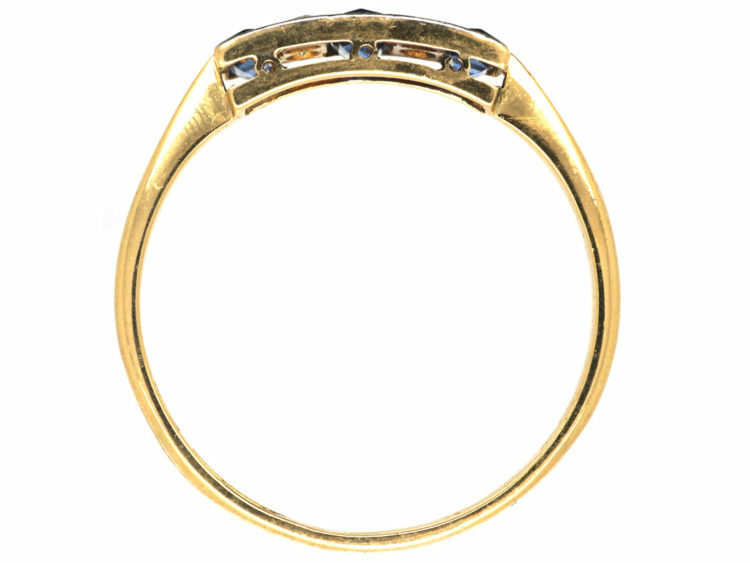 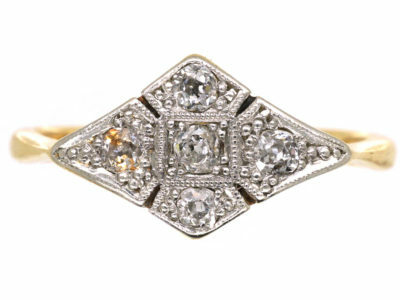 A striking Art Deco 18ct gold ring with a platinum top that was made in the 1920s. 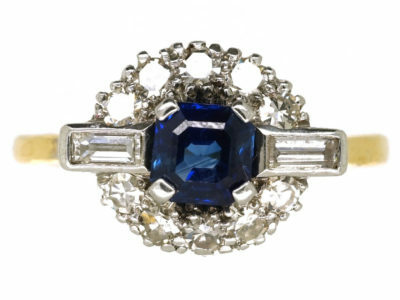 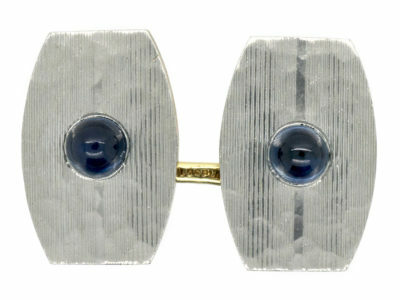 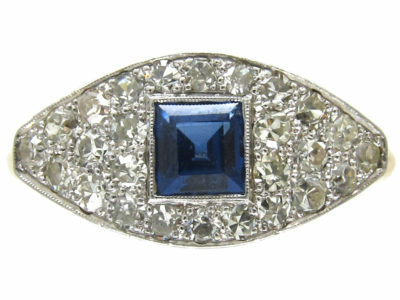 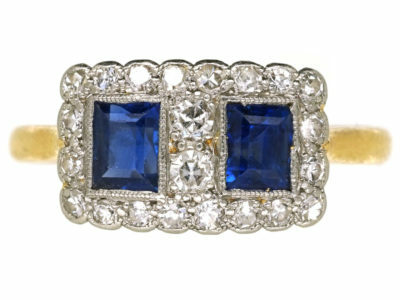 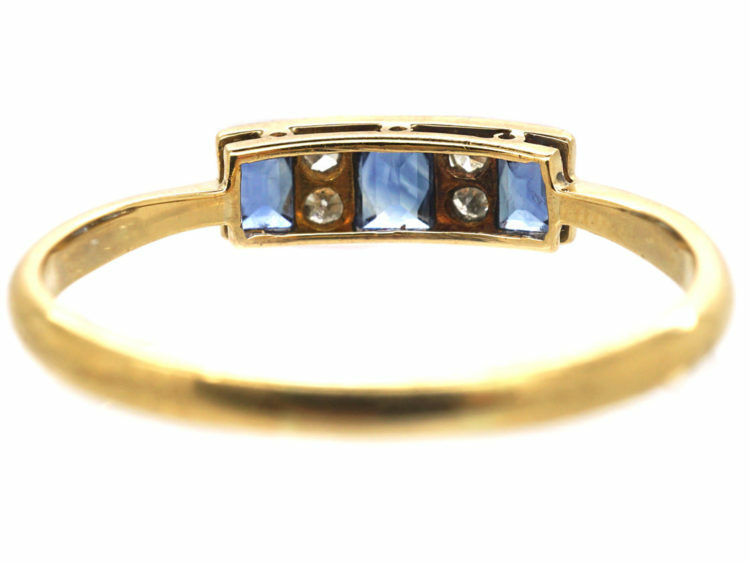 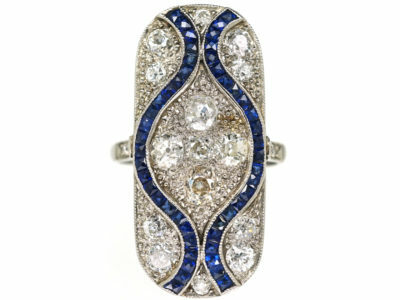 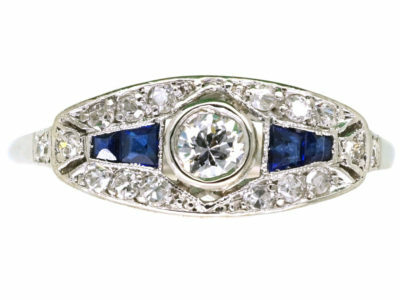 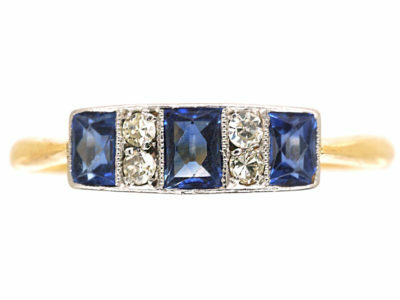 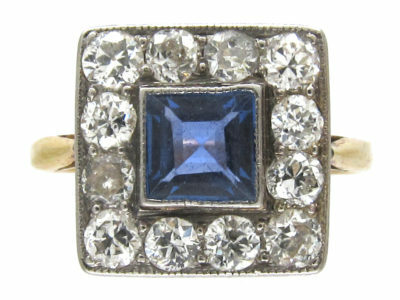 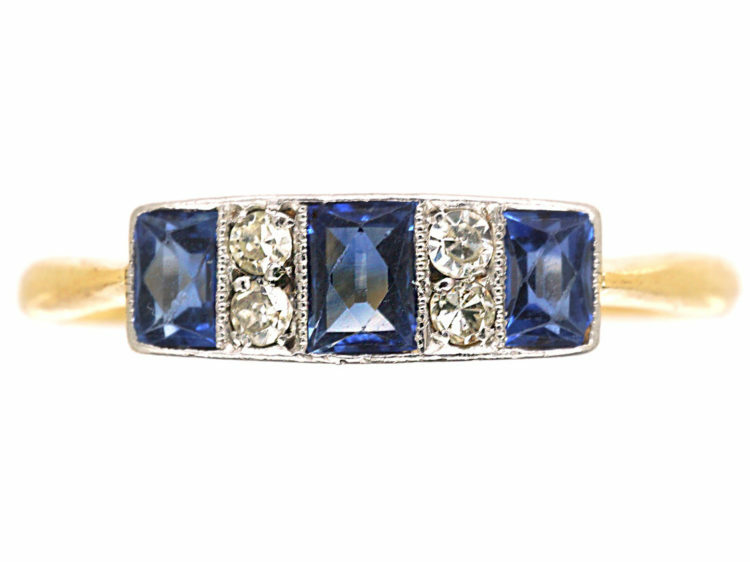 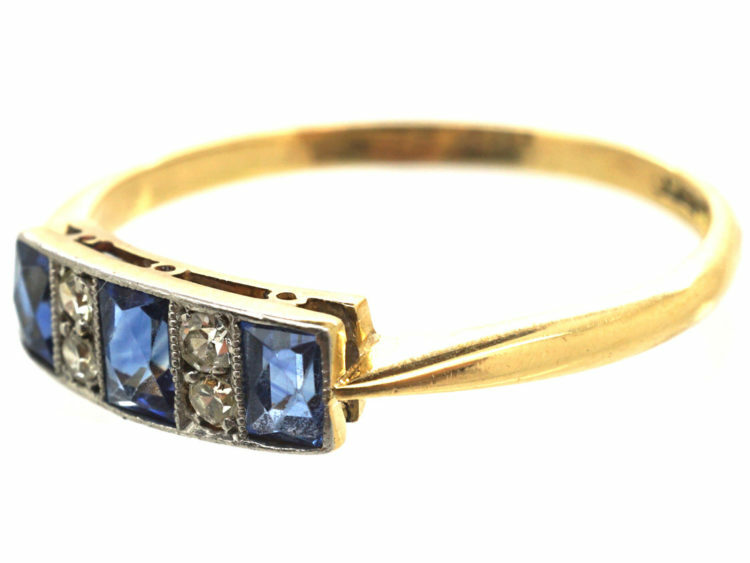 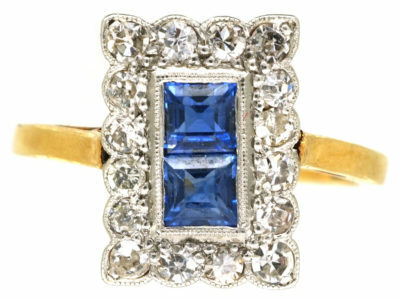 It has been set with three rectangular French cut sapphires with two small diamonds in between on either side. 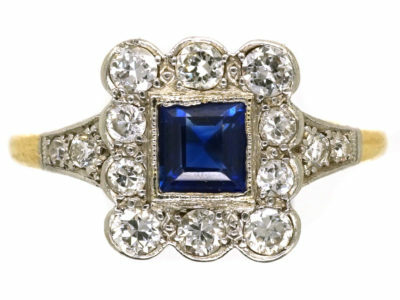 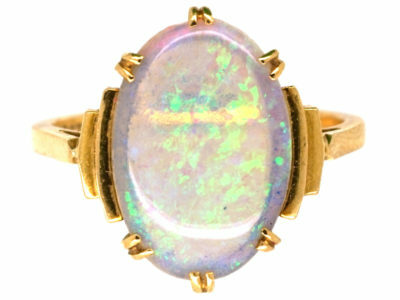 It would be an ideal engagement ring.